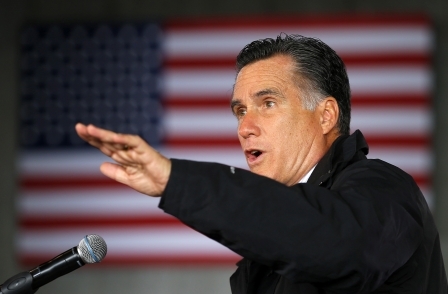 A Tory Cabinet minister has hit out at the "appalling demonisation" of Mitt Romney in the UK media. Iain Duncan Smith praised his record as a governor and businessman, and complained that the Republican presidential candidate had been wrongly portrayed as "stupid". He also pointed out that under Barack Obama the US deficit had "gone from something like 4-500 billion dollars to three or so trillion dollars", and suggested the superpower's economy was stagnating. Although Duncan Smith stressed he did not know Romney personally, and was not necessarily a "fan", the remarks appeared to risk breaching the convention against ministers taking sides in foreign elections. 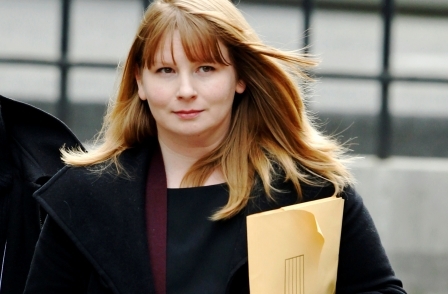 "The demonisation of Mitt Romney over here has been appalling really," the Work and Pensions Secretary told BBC Radio 5 Live's Pienaar's Politics. "He may have faults. All politicians have faults. But this is a guy who ran a state very well. "He got their debts and deficit down. He's turned around businesses. Whatever else you may say about him, he is not stupid, and he is made out to be stupid over here." He went on: "I think sometimes our reporting … particularly the print media have tended to convey a very shallow two-dimensional fight. "The American election has been appallingly reported, I think, in the UK. It has been misrepresented, the whole nature of it." Highlighting the importance of an American recovery to Britain's prospects, Duncan Smith said: "The fact that it (the US economy) hasn't bounced back from this recession, arguably for the first time since the war, makes it a very worrying picture indeed – with unemployment really historically very high in the US and really not a lot of serious new economic activity taking place." Romney was widely mocked by the UK media for a series of supposed gaffes when he visited London in July. He commented that the signs for a successful Olympics were not "encouraging", prompting a rebuke from David Cameron.